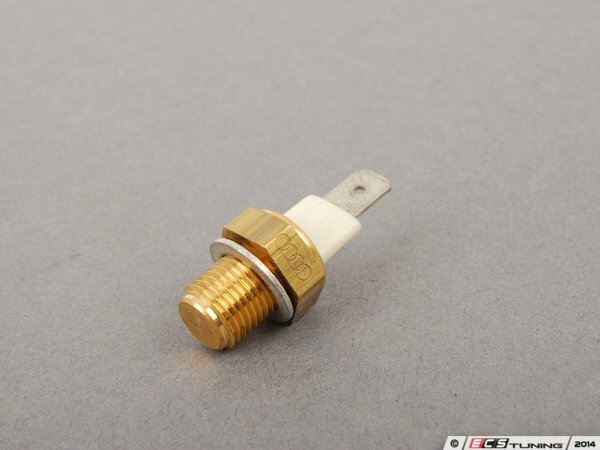 Are there any alternatives to the giant temp sensor that came on the original I5 oil pumps? I found this one, looks like it's from the V8 quattro. This would be much easier to tap in somewhere. Perfect! So one would assume the resistance range is similar to the original i5. I can boil some water and compare. The values for checking the b3/b4 I5 and V6 gauge with the factory tool vw1301 are same so I'd say they are the same. The V8 repair manual doesn't have those values but rather just a resistance/temperature comparison chart. I would be concerned with how that temp sensor would effect AAN/3B pressure control valve in the oil pump. The idea is to replace that huge temperature sensor since I don't have the pump anymore:) the one yodasfro recommended was perfect.